Dr. Jasmin Kaur graduated from New York University, College of Dentistry in 2004. 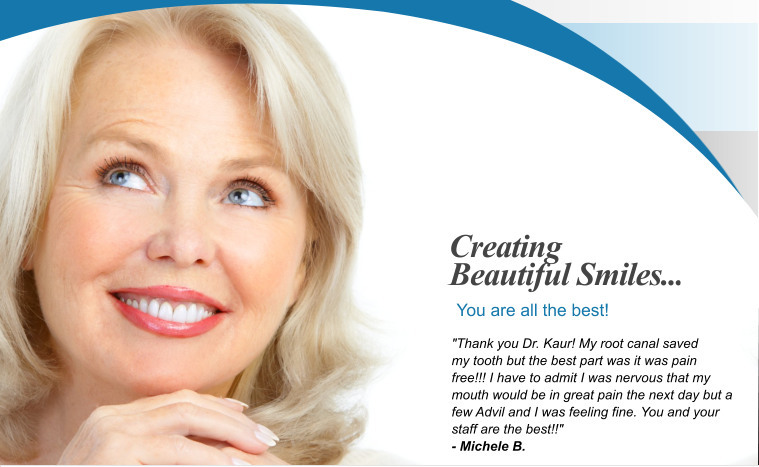 AT NYU, Dr. Kaur received her Honors in Implant Dentistry. Dr. Kaur is married and has two children. She has many hobbies including painting and photography. Her emphasis on patient comfort as well as keeping up-to-date with the latest advancements in dentistry, enable her to provide her patients with the best quality of care in the field. Dr. Jasmin Kaur has a wide range of experience in different areas of dentistry, from cosmetic and restorative dentistry to root canal treatments. discusses the diagnosis and treatment options with you. Our Frederick Dental team consists of dedicated individuals who are kind, friendly, and caring. Our staff is here to ensure a pleasant experience during your visit to our office.